Our Food Grade Jars are a perfect way to keep and display your Salts, Spices or Teas! 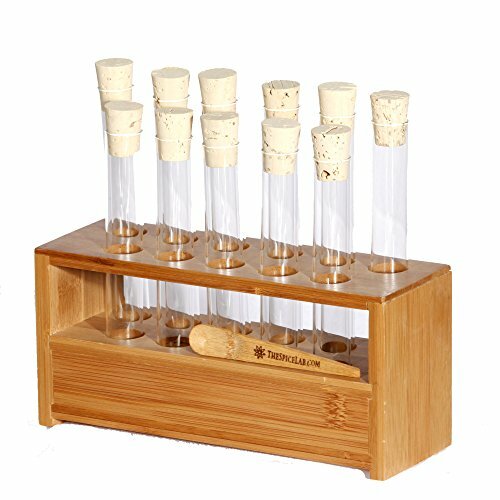 11 empty Test Tubes in a Hand made wooden Block base. This is a Unique item to keep your beads or small items in order. Includes a Spice Lab Wooden Salt Serving Spoon.